Professor Mohanty claimed that the cyclonic storms had caused more than 5000 deaths till date. 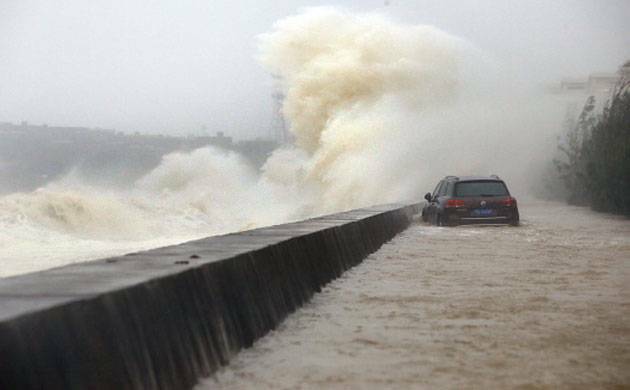 Nearly 500 cyclones have originated in Bay of Bengal in 125 years (since 1891) amongst which 107 had targeted Odisha causing immense devastation, a professor said on Saturday. “However, compared to hurricanes in the west pacific, cyclones originating in the Bay of Bengal are less intense and much weaker but ironically cause more death and destruction,” said Uma Charan Mohanty, Visiting Professor at the School of Earth, Ocean and Climate Science at IIT, Bhubaneswar. Mohanty said, adding in fact, 18 out of 24 cases of cyclonic storms causing more than 5,000 deaths had occurred in the region surrounding the Bay of Bengal. Prof Mohanty said this at a press conference on the eve of the four-day National Symposium on Tropical Meteorology (TROPMET-2016) beginning at the SOA University from Sunday. The high casualty figure was because the coastal deltaic plains were densely populated as the land was fertile and preparedness for such an eventuality was less, he said, adding the shallowness of the sea also led to extreme surges. The conference, being held in the state for the third time, has been organized by the Indian Meteorological Society (IMS) in collaboration with the SOA University and Odisha government and supported by the India Meteorological Department (IMD), Union government. The theme of the symposium is “Climate Change and Coastal Vulnerability.”Prof. Mohanty said the world witnesses around 80 to 90 cyclones every year, seven per cent of which occur in the Bay of Bengal and the Arabian Sea but the change in the climate has been impacting such natural phenomena to a much greater extent than before.